Linkin Park has been toning down their hard rock core and lifting up a softer, alternative side as of late, especially with their two previous albums “Minutes To Midnight” and “A Thousand Suns”. 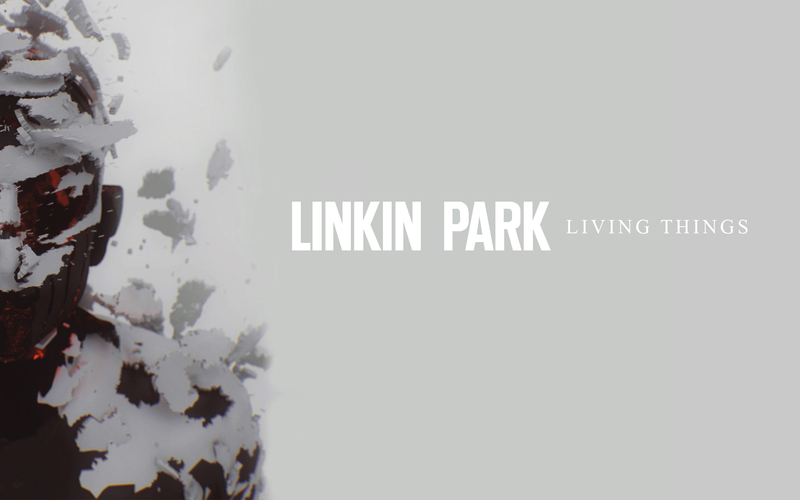 However, “Living Things” brings back that old LP feel with twice as much emotion as before. The theme here is about corporeality and explores a lot of what we’ve come to know ourselves as, human beings. Like I’ve mentioned before, Linkin Park is back full ‘effin force with this album. There are a lot of songs that hit home quite well, such as “In My Remains”, “Powerless” and “Castle Of Glass”. It really digs deep personally and unearths a lot of that human emotion many people choose to bury, even if it continually eats away at them. Chester’s vocals are instantly gratifying, giving the lyrics subtle angst when appropriate and then cascading them into peaceful, steady remission. Mike’s famous raps makes a triumphant return and are on point with Chester’s per usual as they work through the song. The beats are as vibrant and resounding as ever, echoing hard into our ears and bringing us that same feeling we’ve experienced with “Hybrid Theory” and “Meteora” but with the maturity of “A Thousand Suns”. LP is no longer about rebellion and deviance, it is now about consequence and contemplation. Some tracks felt forced. It just doesn’t seem very genuine or fit the theme of the album at all. “Victimized” and “Until It Breaks” are very obvious and failed attempts at their old material, attempting to blend in rage-inducing sounds for the sake of being angry. I’m a pretty huge LP fan and I’m glad to have invested not only my money but also a lot of my time into this album. It stays loyal to what LP has established as their foundation and builds upon it. I have to admit at first, it took awhile to grow on me since I wasn’t sure if the mature themes would amalgamate well with the younger, harder sound of the very first two albums. I realized this was their intention, to combine a bit of every album they’ve produced so far into a new yet still familiar collection. It worked.